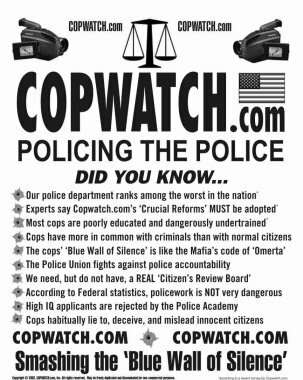 About | TORONTO'S FIRST "Cop Watch"
REGENT PARK COP WATCH and Expanding to other areas in Toronto…. Toronto’s first ever Social Housing Project “Regent Park” has had it’s share of the best and worst of both worlds. The Toronto Police Services Board and the Current Chief, Mr. William Blair have made steps to improve the image of the Force and now is the time to seize the opportunity to make concrete progress toward harmonized relations with the public it serves. We believe that among the men in blue there are a great number of individuals that respect the law and strive to be tolerant and sincere. These are the people we want to commend and bring forward to the Board and the Chief for salutation for their great work in the community. However, much distrust and fear exist between the TPS and the community of Regent Park. We will strive to mirror the interactions between the Police and the community of Regent Park. We are both very concerned about the current level of Police misconduct with brutality by members of the T.P.S against youth, the aged, person with addictions and mental illness and homeless people in Regent Park. Unacceptable behavior including verbal, sexual, and physical abuse, racial profiling, privacy violations, gender discrimination, false arrest, harassment, and intimidation. 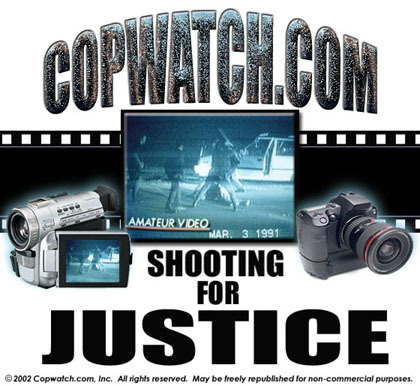 We will be coming into the community and speaking with those who live, work or visit the community and with those who are concerned or are fearful and will become a trusted source of witness and vigilance. We will regularly patrol Regent Park ’s streets by car, bike, and on foot, observing and videotaping police interactions with the public without interfering with duties of the police. Our goal on patrols is to document police interacts by members of the Toronto Police 51st. Division and members of T.A.V.I.S ( Toronto Anti Violence Intelligence Strategy) and communicate with them on the streets and in their divisions. 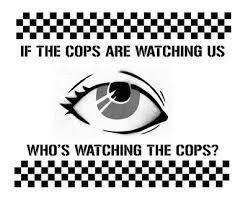 We, at Regent Park Copwatch, are not anti police nor will we interfere or obstruct any interaction we record. We believe the Police can be a force for good in the community, can be part of the solution. We will be in contact with the local Police Division Superintendent to show to them the progress of our work. Should we have concerns about conduct or actions we will provide the opportunity to find solutions . We believe we can work with the Division leaders to survey, record and track misconduct, criminal or illegal actions in violation of their code of conduct by members of the Toronto Police Service. Personnel who serve and protect have nothing to hide and exemplary work will be similarly recorded and commended for their levels of professionalism, de escalation skills, compassion and commitment to service excellence. PRIVACY NOTICE: Warning – any person and / or institution and / or agent and / or the agency of any governmental structure, including but not limited to federal and provincial governments of Canada and the United States that attempts to use or monitor / user this website or any of its affiliated sites, do not have my permission to use one of my profile information or any content herein, including but not limited to my photos, and / or comments about my photos or any other “image” of art posted on my profile. You are advised that you may not disclose, copy, distribute, disseminate, or take any other action against me in respect of this profile and the contents hereof. The above prohibitions apply equally to your employees, agents, students or any member of staff under your direction or control.The content of this profile is private and protected by law and confidential information, and the violation of my privacy is punishable by law. UCC 1-103 1-308 ALL RIGHTS RESERVED WITHOUT PREJUDICE.